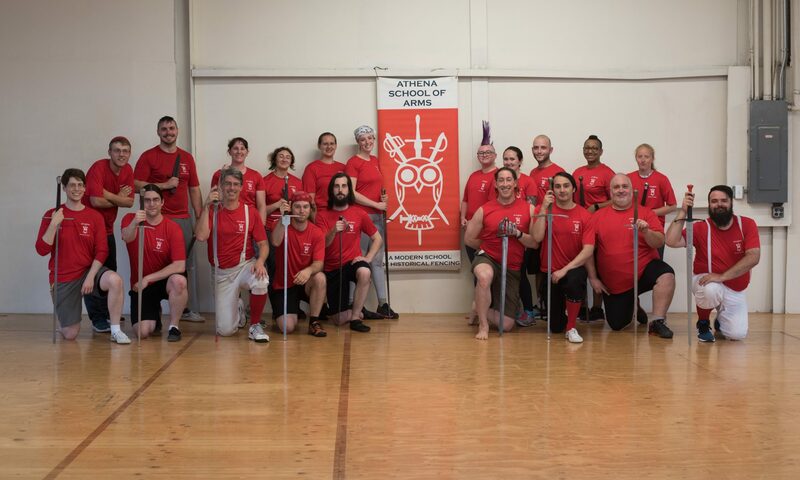 Newcomers to HEMA start with one of our introductory classes, which runs for eight weeks at two lessons/week. 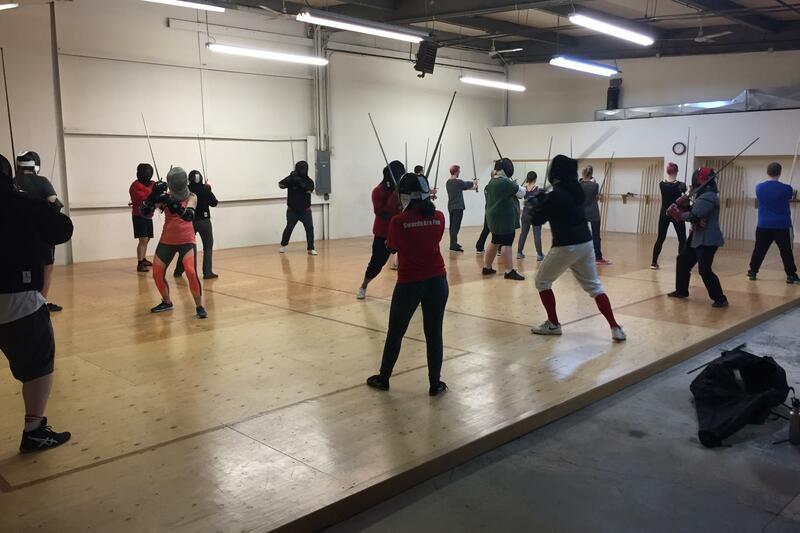 The class introduces students to the medieval longsword, and includes a conditioning program designed to develop the necessary fitness for sword fighting. No prior experience is needed. Class size is limited to 8 students, and typically has two instructors at each session. We provide all the gear for the class, all you need to bring is clothing that is loose and comfortable to move in, indoor-only shoes, and a water bottle. Our school has both changing rooms and bathrooms, and a water bubbler. The introductory class currently meets on Monday and Wednesday nights starting at 6:30PM. For more information, or to apply for the next class, please contact athenaschoolofarms@gmail.com or reach out to us on Facebook. The Open Longsword class teaches the lessons of Johannes Lichtenauer. The class employs a variety of training tools to give students a forum to learn Lichtenauer’s teachings, including solo and paired drills, reading and interpretation from the sources, and dedicated conditioning. This class is open to anyone who has completed the introductory class. The Rotating Weapons class is study group in nature, where students spend 3-4 months learning a new weapon system. Previous classes have included Meyer Dagger, Italian Rapier, Italian Baton, and Highland Broadsword. We welcome suggestions from students on what the next weapon in the cycle will be, and encourage students to take a proactive role in their training and research. This class is open to anyone who has completed the introductory class, or who is interested in the weapon system and comes from another HEMA school. Contact us for details. Part of the Open Longsword curriculum, students are invited to monthly cutting and sparring practice. For the cutting practice, students spend the evening practicing cutting techniques with sharp swords against straw targets (tatami), and receive individual coaching and feedback from instructors. For sparring practice, students spend the afternoon open sparring in full combat gear. This practice is a good way for students to receive practical feedback on techniques learned in class against uncooperative opponents. These practices are open to anyone who has completed the introductory class.